Your qualified retirement plan is outdated. Janice: Okay, so right off the bat, there’s two widespread errors in estate planning. And one major error is to not have a Will or other key elements of the plan. Essentially, the guts of the plan, is to have the Will. The other error is failing to update the Will and the estate plan. So we’re going to talk about things that you would look at your Will again for different changes that [inaudible 00:00:44]. And I believe you’ve called this in your book, we’ve talked about it before, you call this “The Estate Planning Olympics.” So, once every four years, you take a look. Anthony: Before you jump in, Janice, I just want to point out that this is tough balancing act, because you don’t want to spend your whole life planning for your death. Right? But even as frequently as four years, you might end up missing some things. So, go for 80% of what you want. 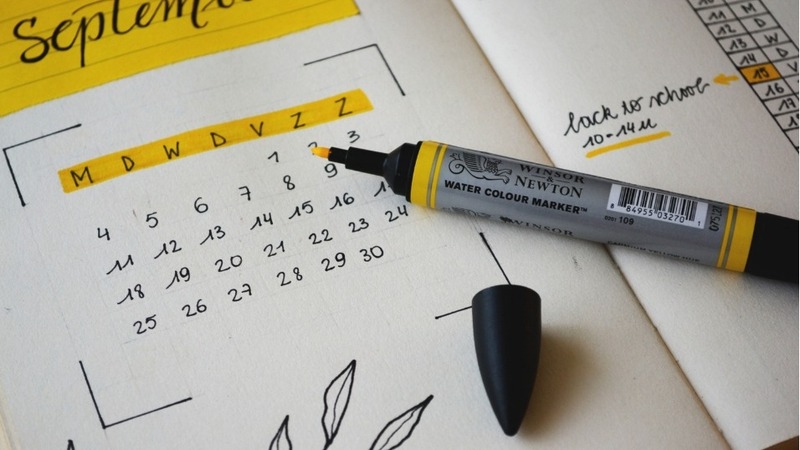 Think of it as a success if your estate plan executes 80% of what you want, because unless it’s a deathbed estate plan, it’s nearly impossible to get it timed perfectly, if that makes sense. Janice: It does. It does. And as long as you, like you said, you have a plan, and you look at it. And that’s what I think this article’s good at, because it just gives a couple of examples of specific events, that could trigger you looking at your plan again, just to reevaluate it, make sure everything is good. Janice: So, one of the suggestions would be, “You move to another state.” So, you know. I know. They might not know that estate planning laws, they’re not national. So, from PA to New York to North Carolina, they’re different, when you move to a different one. So, it may be like trivial, small differences, but you definitely want to look at your estate plan when you’re moving over a state line. Anthony: Absolutely. I get this call from clients all the time. A lot of people are moving in and out of New York, so I get this call a lot. So, the answer is, your Will is still valid, technically, for the most part, as you pointed out, if you move from New York to Pennsylvania, or California, or whatever. Your Will is still good. You have a Will, but it might not be optimized for your new state. Okay? Anthony: So, the big things, like probably naming guardians for your kids and the general percentages of who gets what, those are probably going to be unaffected, but there might be more nuanced issues that you want to adjust for your new state of residence. That’s pretty much how it goes. So, don’t freak out and think you need to do a new Will as you’re packing to move. It’s not that urgent, but yeah, take a look within the few weeks or months after you move. Anthony: If it’s a temporary move, and you’re going to be in California for two to three years, but you totally expect to be back to New York, you might be okay just leaving it as is. I mean, I don’t know. It’s up to you. Janice: True. Would that be one you probably just want to talk to whoever drafted it and say, “Hey, here’s the situation,” if you’re thinking about it while you’re moving. It probably won’t happen until a few months later, and you go, “Oh, wait a minute. I forgot,” because you know how moving is. Janice: So, then they talk about, “The objects of your affection change.” So, this can happen, both to you, positively or negatively, whenever you have an addition to the family, a new child or grandchild, and you want to include them. On the flip side, we have specific people that you want to disclude from the Will, but you could have changes in family. So, you want to make sure that those people are included in the Will correctly. Anthony: So, in my experience, I see this mostly with older clients, who are updating their Will, and yeah, maybe one nephew or niece sort of stops calling as much, and another one, sort of started sending more holiday cards, and things kind of shift. And I suppose that’s natural. The one thing I want to caution you on, is you don’t want to have a different Will every other year, where the beneficiaries change dramatically, because those kinds of wild swings in, who gets what, can sort of form the basis for a Will contest later on, right, just such fickleness. Anthony: I’m talking from a legal basis. That’s probably not good enough on a legal basis, but just from a pure psychological basis, it’s going to impact the judge and attorneys involved. You know? Just to see so many wild swings. Yeah. Janice: And the beneficiaries too. Janice: I mean, one moment you’re 100% a beneficiary, the next minute you’re cut out, and then you’re going back to half. I could see how you might … You might be a little bit confused at the end, but … They also talk about, that of course, if you have divorced, remarriage, widowed, since the Will was written, and on the [inaudible 00:05:07] side of that, you might be more or less charitably inclined. So, if you had these changes, you’d probably want to talk to someone. But like you said, not every year do you want to change it completely. Janice: Another big thing that would trigger you to want to take a look is your assets or liabilities change. So, maybe the value of your estate since it was drafted, it significantly increased, significantly decreased. You might have sold an asset or purchased an asset. So, what do you think about that? Is there a [inaudible 00:05:37] a change? Or what do you think? Anthony: Well, you cut out there for a second there, Janice, so I’m assuming you asked what’s the threshold or what amount of change in value? Janice: Yes. What’s the threshold? Anthony: Yeah. There’s no real set number. Anything that launches you above the five to ten million dollar threshold or just for the listeners, estate tax, the big death tax, the thing that you hear about in the headlines. That really doesn’t impact many people. It only impacts you as an individual, if you die with more than five million. It’s actually 5.1, but I just say five million, and for married couples, over 10 million. So, if you hit the crypto lottery, cryptocurrency or Bitcoin lottery, or something like that, and your net worth is now vaulted over those thresholds, five million, individual, 10 million as a couple, yeah, talk to somebody about whether or not you need to do some estate planning to adjust for that. Janice: Oh, that might be a little bit disproportionate now, if you’re now a multimillionaire. Anthony: Yeah, but that really means you didn’t draft properly in the beginning, because you really should try to stick to percentages for that very reason. Janice: Right. Right, yeah, that would make sense. If you had 300,000 and now you, for some reason are a multimillionaire. Two kids get 100,000 and the other one … I think that might lead to a little bit of issues down the road. 4. Your qualified retirement plan is outdated. Janice: So, one major mistake is not updating the beneficiary designation on your retirement plans. They say that most go 10 years or more, without even looking at it. This is something you [inaudible 00:07:21] want to check out, especially if you have one of those monumental … like marriage or divorce. You definitely want to check to see who it is. What would you suggest about checking? What if you don’t have any changes at all? Would you still check to make sure? Anthony: This is something that is actually a very common problem, meaning your beneficiary designations conflict with your Will. So, if your plan is to give, I don’t know, everything to one son and not the other, for whatever reason, I don’t know, but your beneficiary designations on your IRAs is, I don’t know, 50/50, because you just forgot about it, your Will doesn’t matter. The beneficiary … I don’t want to say it doesn’t matter but, with regard to the IRA, the beneficiary designation supersedes your Will. So, you may think you have done, by going to a lawyer and sitting in a leather bound library and signing this official document, you may have gone through the necessary steps to disinherit bad son. I don’t know what his name is, but you need to make sure … Estate planning is not just signing a Will. And that’s why sometimes I caution against those softwares out there and do-it-yourself type things, because you need to look at everything and how they all interact with each other. Janice: The big picture. All of the documents. Everything. Again, we have talked about this, in another podcast, where you can do it yourself, the DIYs, but I think it’s so important to talk to a professional, because they would have told you to make sure the beneficiary designations match what you really want. Anthony: Again, from a probate point of view, that stuff comes up so often. By probate, I mean, you know, we serve folks after they’ve passed away. We help the surviving families get through that process, and it’s way more often than you would think, that the beneficiary designations totally are out of whack with what everyone expected. Janice: When you drafted your Will, originally you might have given really great thought to who you want to carry out your plan. But let’s say it’s 10, 15, 20 years later, that person or subsequent person, might not be the right one at that point. Are they still able and willing to perform the jobs? Is someone now a better choice? 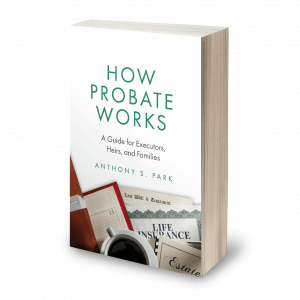 Maybe that person is now a lot older and couldn’t take on … We’ve talked about probate, and it is a lengthy process. Is the person you have originally put 20 years ago, still good for that role? Anthony: Aging out is totally an important reason. Another good reason is they’ve moved out of the state or of country. Another reason, less common reason, but is, have they been convicted of a felony? That automatically disqualifies you in many states. Anthony: Just so many, different reasons why you just check in, every once in a while, to make sure all your choices are appropriate. Anthony: Or maybe just your relationship has changed with the folks, right? Janice: Yeah. Yup. And it’s, their job as an executor or trustee is so big, and it’s going to take so much time, that it just has to be the right person. Anthony: This is a bad analogy, and I don’t mean to imply that these are similar at all, but with executorship, but Janice, how many examples do you know, where friends had like a best man, or a groomsman, who they don’t talk to at all anymore? They’re totally estranged at this point. Janice: I couldn’t even get started on that … That’s a whole nother podcast, but it’s true. I mean, who your best friends are five years ago, you might not even have contact with. Anthony: Yup, and again you shouldn’t be choosing your executor like you chose your best man, but my point is that just relationships change. Janice: They do. Life changes. You, yourself could have, like you said, moved to another state, and the other person’s so far away now, and just look it over, and ask those questions. Is this person now a good fit for this job?